As a community platform, the DCUG positions itself as a unifying link between all people within the Cloud environment. We bring Cloud-users, -customers, -partners and third-party manufacturers together to advise on new and current issues and exchange experiences and opinions. The main forums for this ongoing exchange are the DCUG website and our DCUG events. These activities are financed by sponsors. There are various possibilities: On the one hand, sponsors usually leave us NFR licenses, hardware prototypes or they show products to the DCUG via presentations. On the other hand, we also offer the opportunity to support the DCUG financially with several sponsorship levels that include different benefits. If you are interested we are happy to set up a customized package. 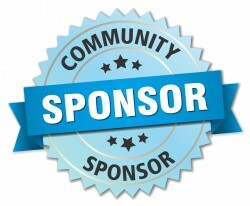 You are interested in becoming a part of the DCUG as a sponsor? Then please feel free to contact sponsoring@dcug.de. Roll-Up-Placement at all DCUG-Round Tables 2019. Session-Slot of about 30 min. at all DCUG-Round Tables 2019. Guaranteed participation in all DCUG-Round Tables 2019. Unlimited contact to all participants during the live-event. Sponsor introduction to all participants at the beginning of all DCUG-Round Tables 2019. 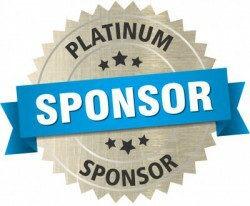 Logo placement in the Platinum Sponsor Section on the DCUG website in 2019. Logo placement on invitations and registrationsite for all DCUG-Round Tables 2019. Roll-Up-Placement at the DCUG-Round Tables 2019 of your choice. Session-Slot of about 20 min. at the DCUG-Round Tables 2019 of your choice. Guaranteed participation in at the DCUG-Round Tables 2019 of your choice. Unlimited contact to all participants during the live-events. Sponsor introduction to all participants at the beginning of at the DCUG-Round Tables 2019 of your choice. 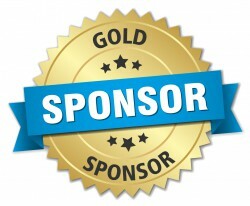 Logo placement in the Gold Sponsor Section on the DCUG website during the month of the DCUG-Round Tables 2019 of your choice..
Roll-Up-Placement at the DCUG-Round Table 2019 of your choice. Session-Slot of about 20 min. at the DCUG-Round Table 2019 of your choice. Sponsor introduction to all participants at the beginning of the DCUG-Round Table 2019 of your choice. Roll-Up-Placement at the DCUG-Roundtable 2019 of your choice. Transportation is the responsibility of the sponsor. Sponsor introduction to all participants at the beginning of the DCUG-Roundtable 2019 of your choice. 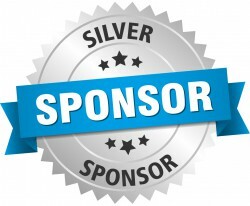 Logo placement in the Website Sponsorsection on the DCUG website during the month of the DCUG-Roundtable 2019 of your choice. Logo placement on registrationsite for the DCUG-Roundtable 2019 of your choice.